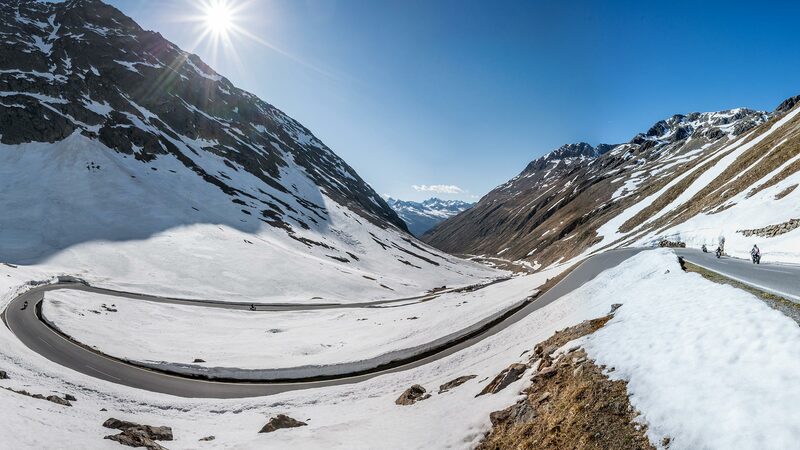 During the summer month, the panoramic Timmelsjoch High Alpine Road connects Ötztal’s Obergurgl and St. Leonhard nestling in South Tyrol’s Passeiertal. The scenic road is about 43 kilometers long and at least 5.5 meters wide, it has 44 road bends and leads across the 2509 m high Timmelsjoch – one of Europe’s highest drivable passes. The Ötztal celebrated the 50th Pass Road Anniversary already in 2009. This year, the South Tyrolean anniversary is scheduled as the southern road section – an old military path until 1968 – was completed nine years later. Cross-border celebration and exploration is on the varied program! On 24 May 2018, the time has finally come again: motorbikes lean into the curves, bicyclists pedal uphill with all efforts, car passengers enjoy the incomparable view of the Ötztal Alps. According to Sicher, exactly 190,259 vehicles passed the Timmelsjoch in 2017 – about 75,550 of them were motorcycles. 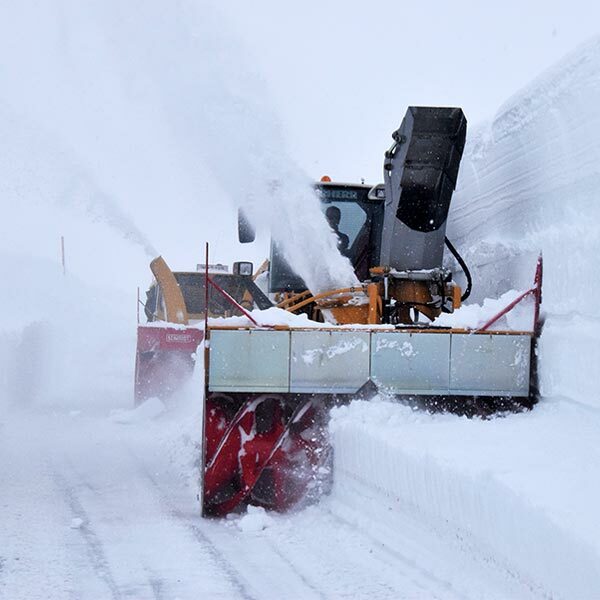 To enjoy the route safely this season, “the road is examined by the avalanche commission, a geologist and the road service before it is opened to public traffic,” says the expert. We take a leap in time to last summer. I still remember goose bumps on my skin as a pillion passenger of Alban Scheiber speeding on his bike from Obergurgl up to the “Timmel”. A heavenly hell ride! We make it to the pit stop at the “Top Mountain Crosspoint”, a multifunctional building run by the twins Alban and Attila Scheiber, that comprises a toll booth, a mountain lift station, a restaurant and a motorbike museum. The exhibition shows some 270 historic motorcycles, including a very rare 1911 “Wanderer” and ten extraordinary cars. There is also the special exhibition of “Historic Snow Vehicles”. In the Pass Museum you will find a large photo of Angelus Scheiber, grandfather of Alban and Attila. 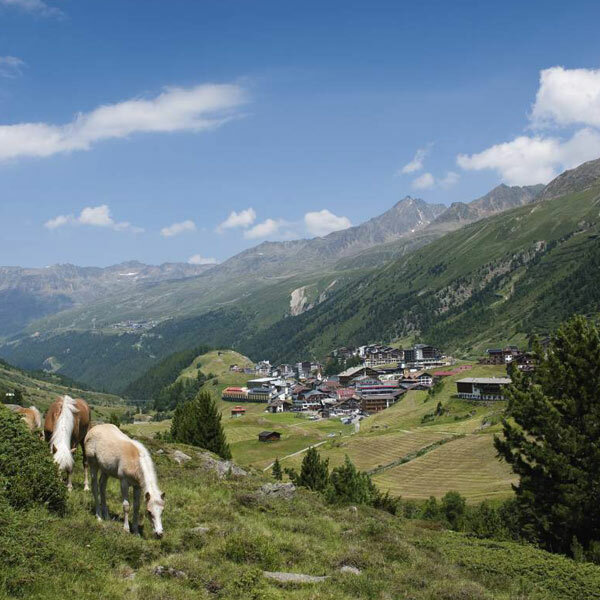 At the beginning of the 1950s, this unrivaled Ötztal tourist pioneer had taken up again the plan to build a connecting road across the state border to South Tyrol. The project had been put on ice during World War I. 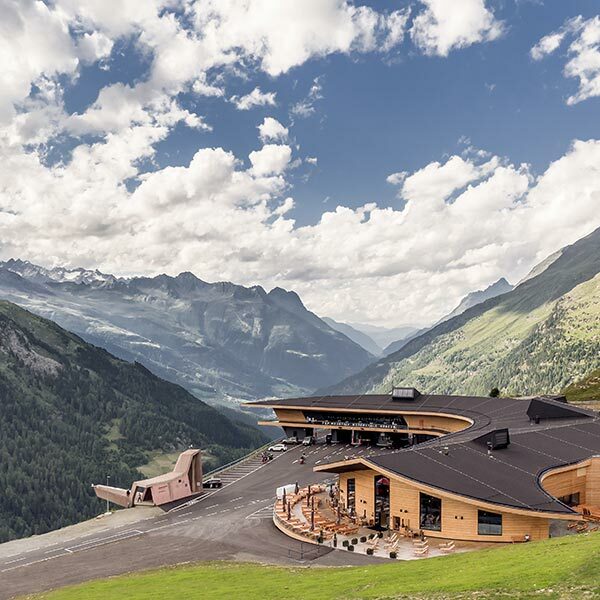 The road from Obergurgl to the Pass was completed in a record-breaking construction time of just 17 months. 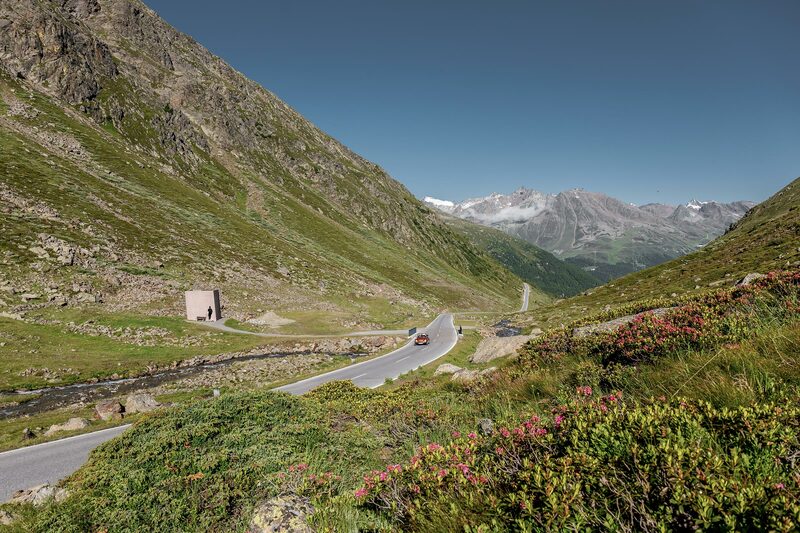 But only in 1968 the cross-border road from Ötztal’s glaciers to Passeiertal’s orchards was officially opened. 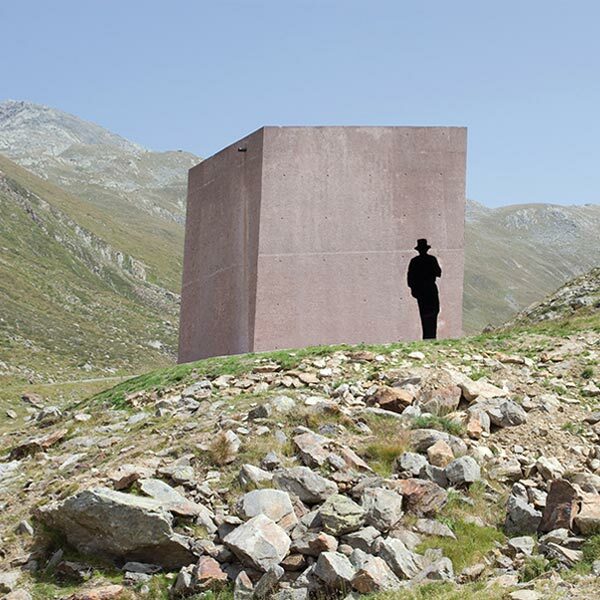 The Pass Museum is one of five walk-in art works designed by the architect Werner Tscholl – altogether they line the High Alpine Road as the “Timmelsjoch Drive”. For instance, the silhouette of a smuggler carved in stone. A real smuggler from Moos in Val Passiria remembers the exciting years when he himself crossed the pass towards Obergurgl to get “little things” like the sugar substitute saccharine, snuff or cigarettes. “The Italian customs officers have never caught us because they did not know the area,” Michael Etschmann smiles with a twinkle in his eyes. 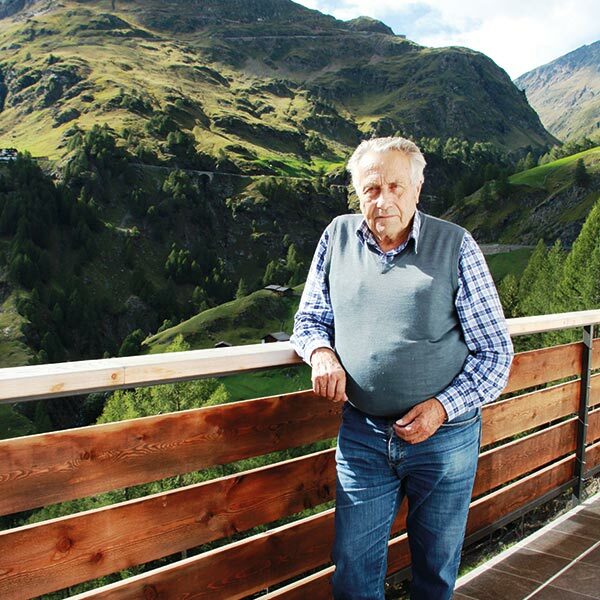 It was pure fun for him: “The lure of forbidden fruit.” When the Timmelsjoch Pass Road was opened 50 years ago, the Ötztal locals came to him to get bacon and wine. Not without reason the senior innkeeper of Gasthof Schönau is still called “Speckmichel” (bacon Michael). 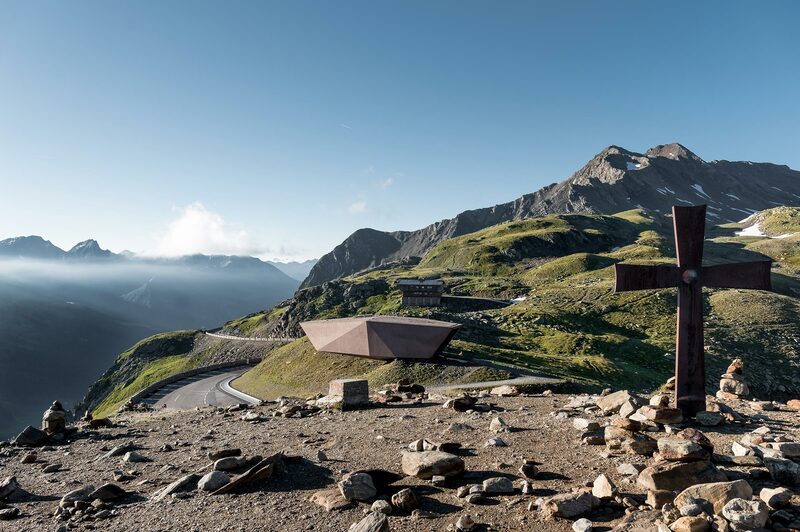 On 15 September, the new South Tyrolean “Timmel Transit” Museum adds another milestone to the eventful history of the Timmelsjoch Pass Road. Werner Tscholl is responsible for the outstanding architecture of the former financial barracks dating back to 1930: “I really like to work with old buildings because you become part of the history,” the architect says. 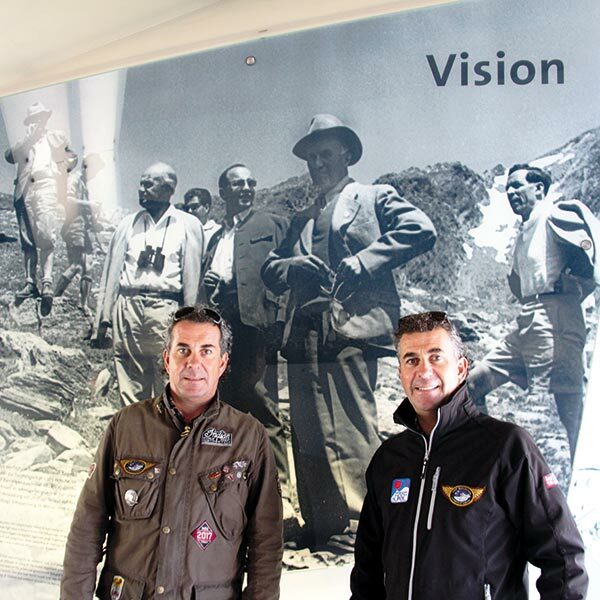 “Ten witnesses of the times from Ötztal and Passeiertal, who were part of the daring construction team, will have their say in the ‘Timmel Transit’ – in digital form.” Both museums on the Austrian and Italian territories are connected by a cross-border tour. Symbolism at its very finest. “Timmelsjoch – Wenn Grenzen verbinden” is the title of a documentary in German by Philipp J. Pamer who tells the eventful story of the ultimate road construction project. The film is expected to be released on DVD at the end of July and will be available online later this year. Cinema screenings in Germany and Austria are not scheduled yet. Germany’s “Bergfilmfestival Tegernsee” has already requested the film for October. 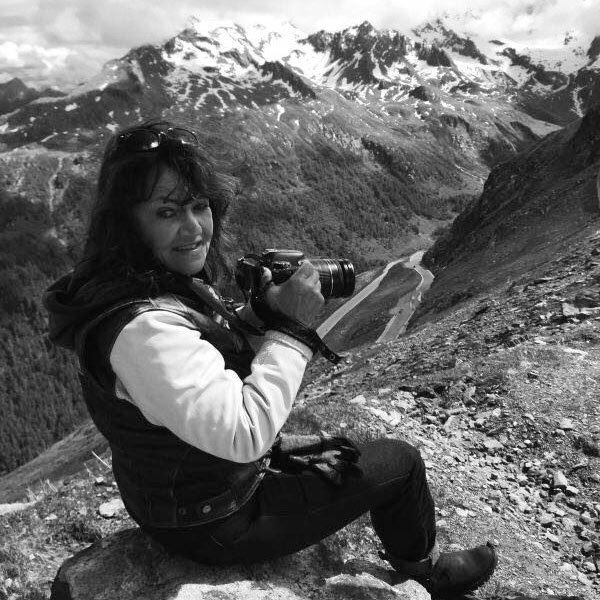 For the 2018 Ötztal Summer Magazine Dagmar Gehm has written an interesting article about old and new cross-border experiences at Timmelsjoch Pass: “Watch out Border Traffic”. You want to know more about all highlights? The print magazine contains the most interesting and entertaining stories about Ötztal’s spring, summer and autumn season. Available in German, English and Dutch at all Ötztal Tourismus Information Offices. At www.oetztal.com you can also order a free copy or read the online version.